Two impressive hypercars McLaren P1 were caught on video while taking place at a track event, in Essen. The two McLaren P1s seen in the video are showcased in a complete display of power, while racing on the track, managing to attract a lot of cameras as well as some curious eyes. To be a reminder, the McLaren P1 was officially unveiled at the 2014 Geneva Motor Show, being produced in a limited edition of just 375 units, at the company`s plant in Woking, Surey, England. The McLaren P1 is coming in a two-door coupe body style, having a rear mid-engine and a rear-wheel drive system. The powerful hypercar is taking its power from a 3.8-liter twin turbo V8 engine, being supported by an electric motor, which make the supercar produce a total of whopping 890 horsepower and 978 Nm of torque. The McLaren P1 is thus capable of sprinting from 0 to 100 km/h in just 2.8 seconds, the supercar also coming with an electronically limited speed of 350 km/h. 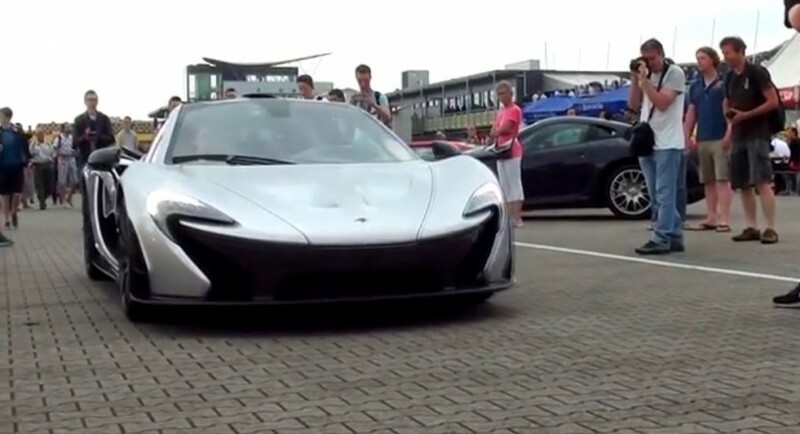 Enjoy the video with the two McLaren P1s showing off in Essen.